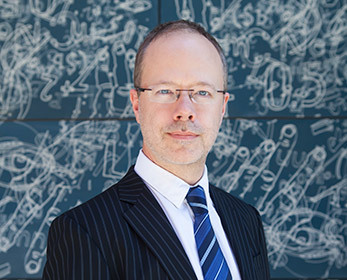 Paul Arthur is Chair in Digital Humanities and Social Sciences, and Director of the Edith Cowan Centre for Global Issues, in the School of Arts and Humanities. Professor Paul Arthur was appointed to ECU as a Professorial Research Fellow in 2016. He holds a PhD in English, Communication, and Cultural Studies from the University of Western Australia. Professor Arthur speaks and publishes widely on major challenges and changes facing 21st-century society, from the global impacts of technology on culture and identity to migration and human rights. A Fellow of the Royal Historical Society, he has over fifty publications including ten books. His latest book is Migrant Nation: Australian Culture, Society and Identity (ed., 2018). Paul Arthur is known as a leading figure in the development of the field of digital humanities in Australia and internationally, and he was Australia’s first Professor in Digital Humanities (at Western Sydney University). He previously worked at the Australian National University in roles including as Deputy Director of the Centre for European Studies and Deputy Director of the National Centre of Biography. He oversaw the digital production of the largest collaborative project in the humanities and social sciences in Australia as Deputy General Editor of the Australian Dictionary of Biography. In the past decade Professor Arthur has received over $3 million in Australian and international grants, individually and in collaboration. He serves on international executive boards and councils promoting digital research innovation, including the global Alliance of Digital Humanities Organizations and the Australasian Association for Digital Humanities (founding President). He is currently co-chair of centerNet, the international network of digital humanities research centres. He also has national roles including as a member of the project board of the National eResearch Collaboration Tools and Resources (Nectar) Super Science initiative of the Australian Government. Paul Arthur has held a number of prestigious visiting positions in Europe, Asia-Pacific and North America, most recently as Visiting Professor of the Royal Netherlands Academy of Arts and Sciences, in 2016-17. He was Dr R. Marika Chair of Australian and Indigenous Studies at the University of Cologne, Germany, in 2013-14, and was selected for the inaugural Indian Government Global Initiative for Academic Network Program for Distinguished International Faculty in 2015. Paul is also a violinist. He has a long connection with ECU that goes back to the first years of its establishment, when he completed an undergraduate Music sub-major at WAAPA. Advanced Diploma in Leadership and Management, The University of Western Australia, 2008. Doctor of Philosophy, The University of Western Australia, 2002. Bachelor of Arts (Honours), Murdoch University, 1994. Migrant and transnational identity-formation: German and Australian responses to migration and asylum seekers in the media and public discourse, Edith Cowan University, Australia-Germany JRC Scheme (UA-DAAD), 2018 - 2020, $18,000. Time-layered cultural map of Australia, Australian Research Council, Grant - Linkage (Infrastructure), 2019, $68,707. International Collaboration with Swansea University in the Field of Cyberterrorism for Research Cooperation and Student Exchange, Edith Cowan University, ECU Collaboration Enhancement Scheme – 2017 Round 2, 2018 - 2019, $8,395. Digital Preservation and Documentation of Australia's Migrant Cultural Heritage, Department of Foreign Affairs and Trade, United Nations Educational Scientific and Cultural Organisation (UNESCO), 2018 - 2019, $97,200. 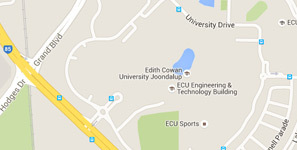 Formalising International Collaborative Ventures between Australia and India to develop New Interpretive Mapping Tools for Digital Humanities , Edith Cowan University, ECU Collaboration Enhancement Scheme - 2017 Round 1, 2017 - 2018, $6,595. Politics in the Era of Social Media: Are Digital Tools Influencing Young People?, Edith Cowan University, School of Arts and Humanities Research Grant Scheme 2017, 2017 - 2018, $10,000. Arthur, P., (2019), Tracing the Development of Digital Humanities in Australia. Digital Humanities and Scholarly Research Trends in the Asia-Pacific, 310, Hershey, Pennsylvania, IGI Global, DOI: 10.4018/978-1-5225-7195-7. Arthur, P., (2015), Death in Social Media: The Digital Afterlife. Memorialisation, Winter(10), 43-61, Germany, Heidelberg Press. Arthur, P., (2014), Biographical dictionaries in the digital era. Advancing Digital Humanities: Research, Methods, Theories, 83-92, Basingstoke, United Kingdom, Palgrave Macmillan, DOI: 10.1057/9781137337016. Bode, K., Arthur, P., (2014), Collecting ourselves. Advancing Digital Humanities: Research, Methods, Theories, 1-12, UK, Palgrave Macmillan, DOI: 10.1057/9781137337016_1. Arthur, P., (2014), Memory and Commemoration in the Digital Present. Contemporary Approaches in Literary Trauma Theory, 152–175, SpringerLink, Palgrave Macmillan, DOI: 10.1057/9781137365941_7. Arthur, P., Ensor, J., Van Faassen, M., Hoekstra, R., Peters, N., (2018), Migrating People, Migrating Data: Digital Approaches to Migrant Heritage. Journal of the Japanese Association for Digital Humanities, 3(1), 98-113, DOI: https://doi.org/10.17928/jjadh.3.1_98. Arthur, P., (2017), Data Portraits: Identity, Privacy, and Surveillance. Auto/Biography Studies, 32(2), 371-373, Taylor and Francis, DOI: 10.1080/08989575.2017.1289007. Arthur, P., (2017), Things Fall Apart: Identity in the Digital World. Life Writing, 14(4), 541–550, Abingdon, United Kingdom, Routledge, DOI: 10.1080/14484528.2017.1364170. Arthur, P., (2015), Coda: Data Generation. Biography: An Interdisciplinary Quarterly, 38(2), 312-320, University of Hawaii Press, DOI: 10.1353/bio.2015.0016. Arthur, P., (2015), Translating Identity across Time, Space, and Media. Journal of Contemporary Thought, 42(2015), 5-19, India, University of Baroda. Arthur, P., (2015), Digital Textuality, Writing and New Media. Anglistik. International Journal of English Studies, 26(2), 113-123, Germany, Universitaetsverlag Winter. Arthur, P., (2015), Material Memory and the Digital. Life Writing, 12(2), 189-200, Routledge, Taylor & Francis Group, DOI: 10.1080/14484528.2015.1026785. Arthur, P., (2015), Re-imagining a Nation: The Australian Dictionary of Biography Online. The European Journal of Life Writing, IV(2015), 108-124, University of Amsterdam, DOI: 10.5463/ejlw.4.163. Arthur, P., (2014), Out of Frame. Auto/Biography Studies, 29(1), 1-9, London, UK, Routledge, DOI: 10.1080/08989575.2014.921755.